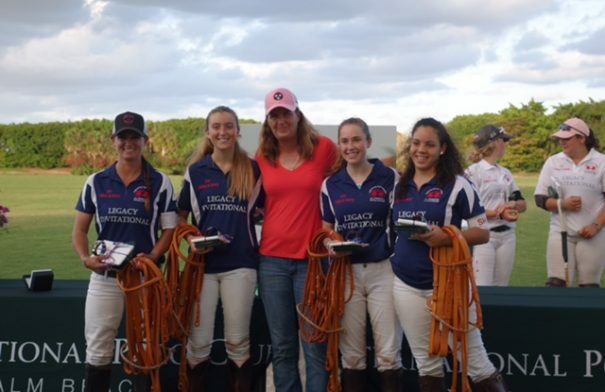 April 20, 2017 ~ Louisa Huber of Maryland Polo Club won with her Blue team at the first Legacy Invitational Tribute to Sunny Hale Tournament at IPC this past Thursday. Two teams competed in the Future Stars Girl’s Match honoring the late Sunny Hale. Demitra Hajimihalis was a player on the White team. Blue defeated White 4-3. Louisa was awarded the “Sportsmanship Award”. It is wonderful to see Sunny’s spirit for women’s polo continuing with our club’s youth!